The arena of Medical Practice Management is no laggard in adopting the latest technological trends. From independent practitioners to large healthcare facilities, every entity is embracing digital platforms to be in consonance with market demands. The deployment of digital platform simplifies and expedites patient care and it also gives birth to data glut. 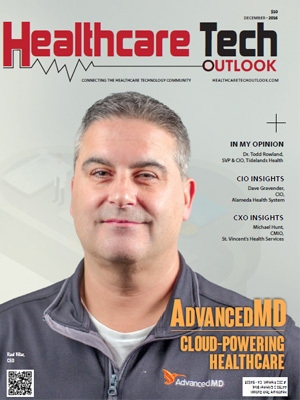 Though the practice of leveraging the power of cloud for medical practice solutions stands to the test for ease of access, security implications cannot be overlooked. To sum up, challenges are multifold and solution providers are being innovative in designing solutions that would enable practitioners to solve intricacies in medical data processing, security, and compliances. Aware of the demands in the arena, vendors are developing methodologies that aptly address the challenges. Integrated clinical databases and workflow, in-built modules like Electronic Health Record (EHR) and Electronic Medical Record (EMR), the usage of APIs, automated medical billing and reporting, revenue cycle management are some of innovative practices, which are being widely used. The new methodologies hold great potential to enable transformation of legacy practices. For instance, data in the EHR and EMR can expedite the process of medical insurance claims settlement and payouts. However, the innovations dazzle a CIO while zeroing in on the appropriate solution. To help CIOs in finding the right consultants delivering solutions for Medical Practice Management Software, a list of “Top 10 Medical Practice Management Software Solution Providers 2016,” has been presented here. A distinguished panel of CIOs and CEOs of companies and analysts has finalized the 10 most promising consultants in this field; we congratulate all the finalists for their achievement. We present to you Healthcare Tech Outlook’s Top 10 Medical Practice Management Software Solution Providers 2016.